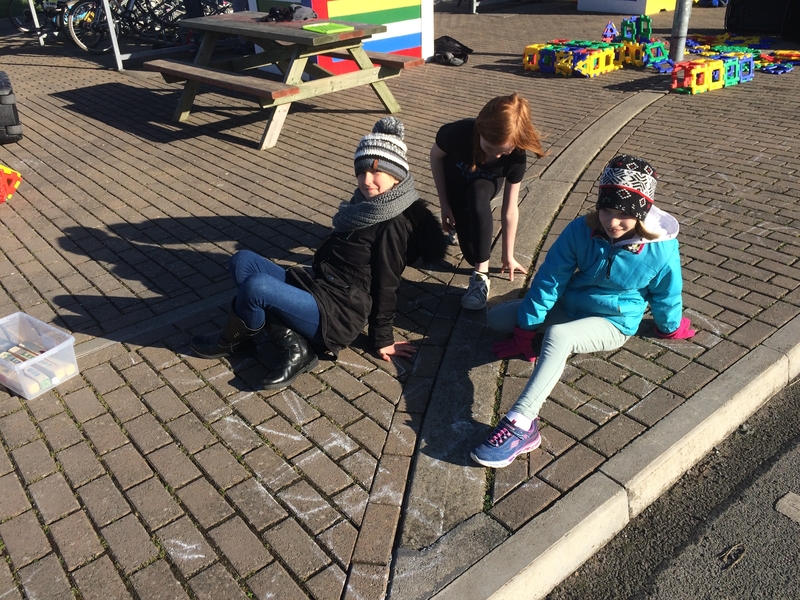 We encourage all our students to do their talking while they’re walking. 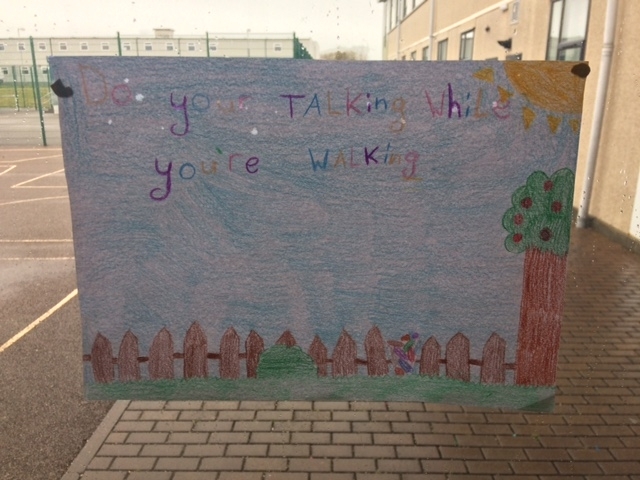 We have signs up around the school to encourage children to do their talking while they’re walking on yard! 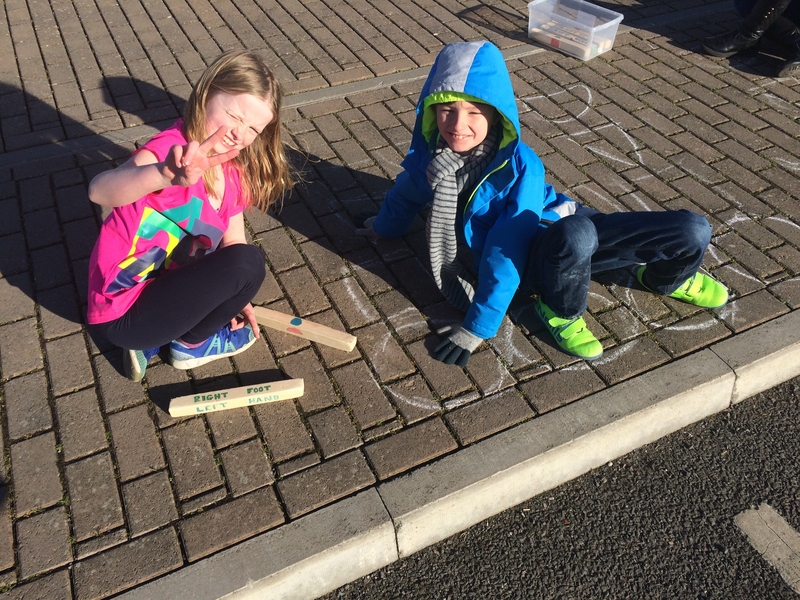 Children have two outdoor breaks each day. 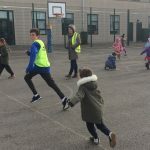 We have lots of fun games for them to enjoy from playing games with the playground leaders on the junior yard to skipping on the senior yard and everything in between. Check out some children enjoying their yard time below. 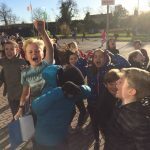 Check out this AMAZING video that shows how active we’ve been lately- in the yard, during brain breaks and during assemblies. 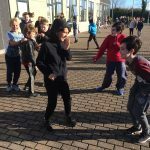 For Seachtain na Gaeilge, we were lucky to enjoy some Irish dancing. 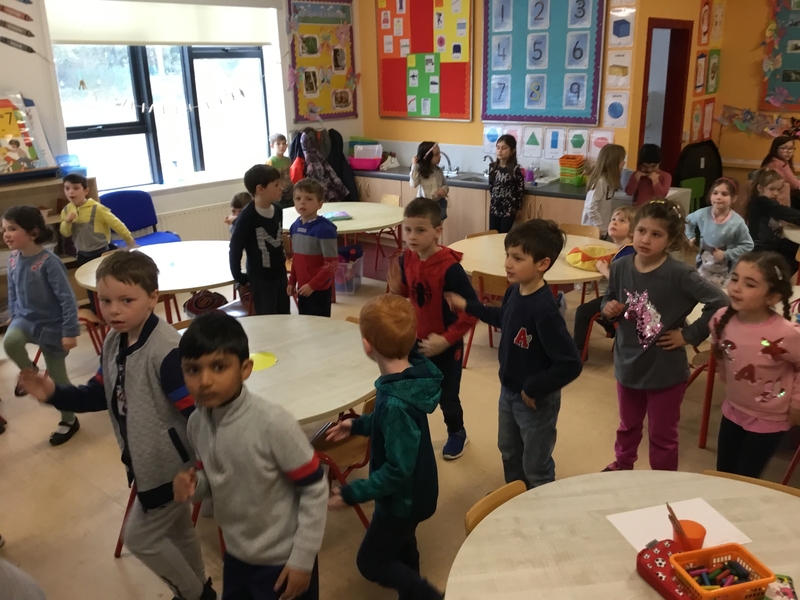 Junior Infants to 2nd class had a dance lesson with Alyson Redmond. 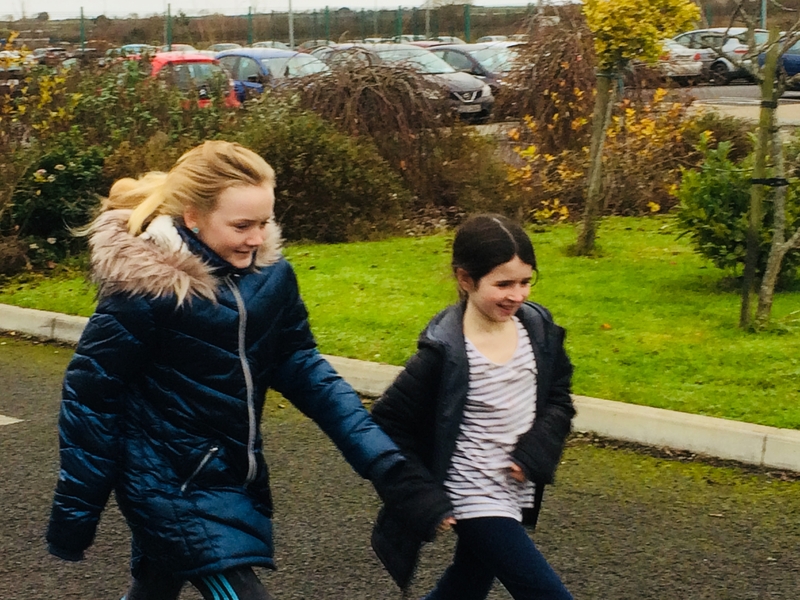 3rd to 6th Class learned how to do Ionsaí na hInse (Siege of Ennis) with Deborah and Gráinne. The senior classes performed at assembly. 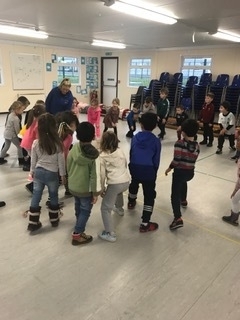 Here is Áine’s class with local Irish dance teacher Alyson Redmond. 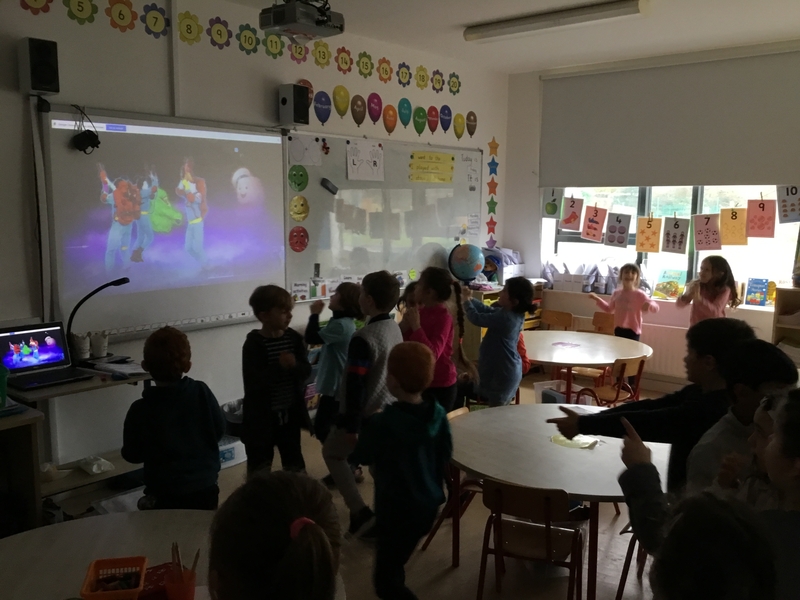 We use GoNoodle throughout the day to give our brains a break! We especially enjoy it when it has been raining and we don’t get a chance to go outside. 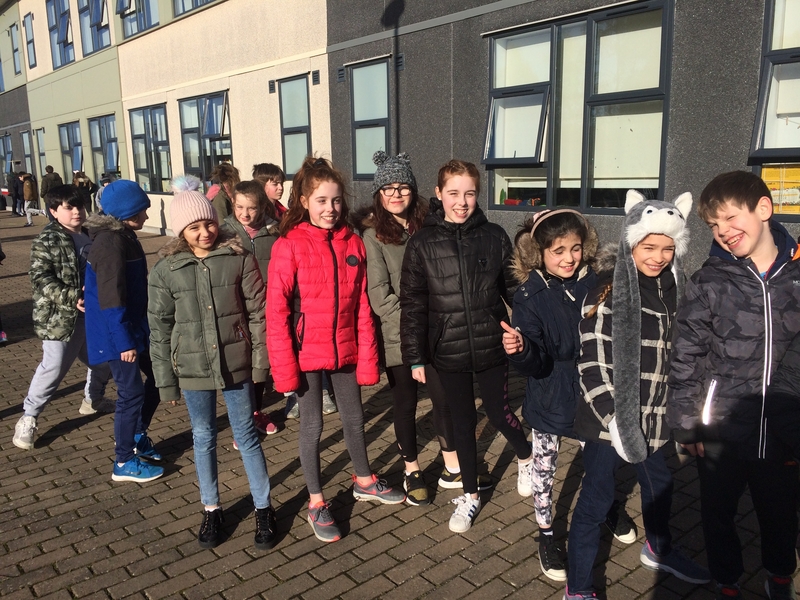 Check out a picture of some of our students who were out getting active this week. Check out one of the banners below. 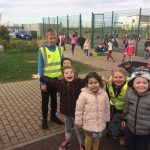 Two more active yard games! 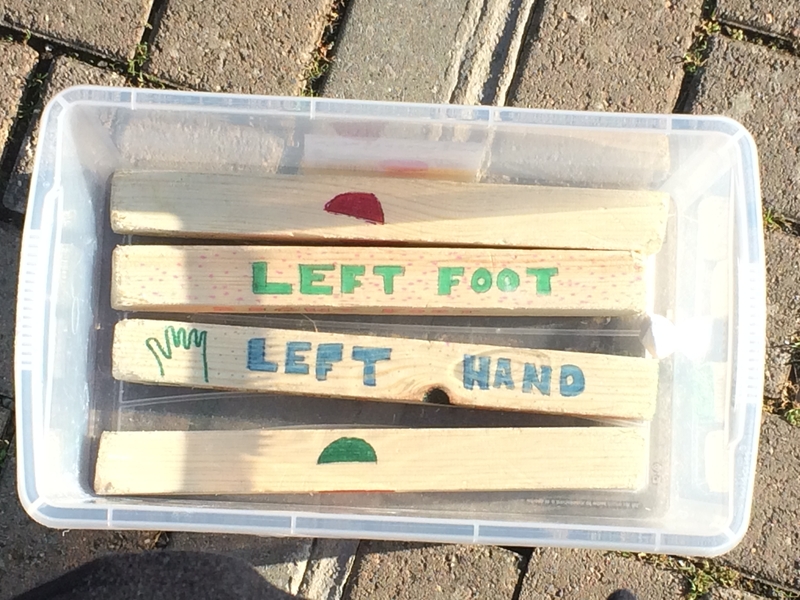 We have introduced equipment for two new games into the yard – Four Square and Twister! Have a look at these photos from today. 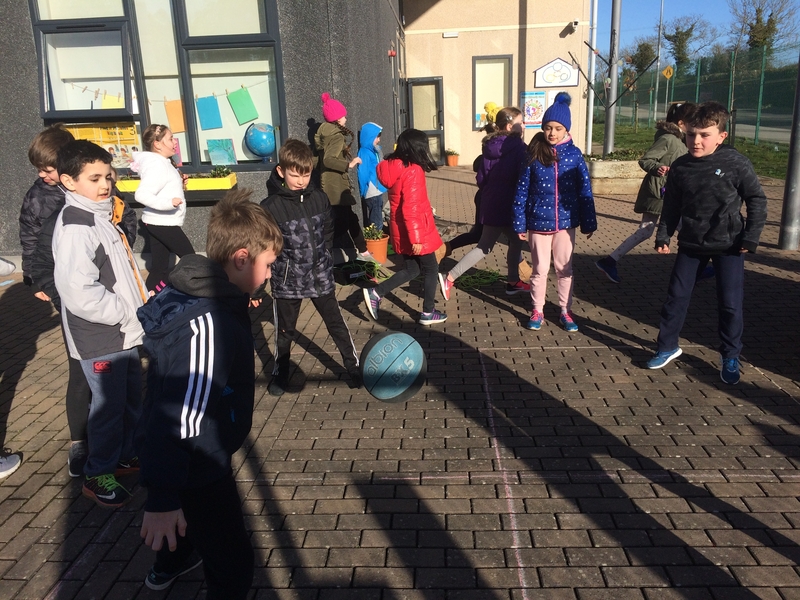 Four Square – Look at the queue of people who are keen to play! 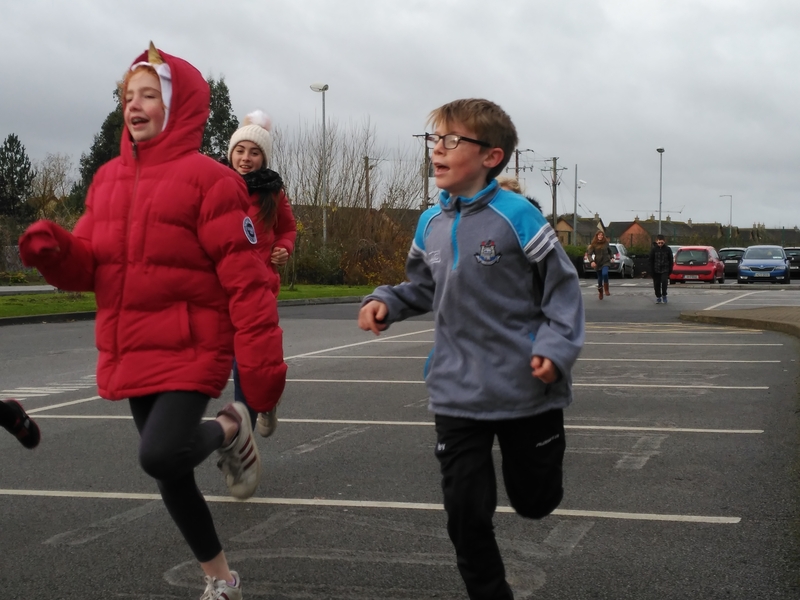 December’s Skipathon and Penalty Shoot-out Against Santa Claus! 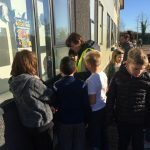 The Active School Committee worked hard with the Student Council to organise an active fundraiser. We were raising money for some more yard equipment, and got a lot of exercise in while doing it. Great way to finish off the term and start the holidays! The whole school has been working out in our classrooms every day for the month of December with our Winter Workout Calendar. We’ve uploaded the calendar so that you continue to use it throughout the holidays! Enjoy! 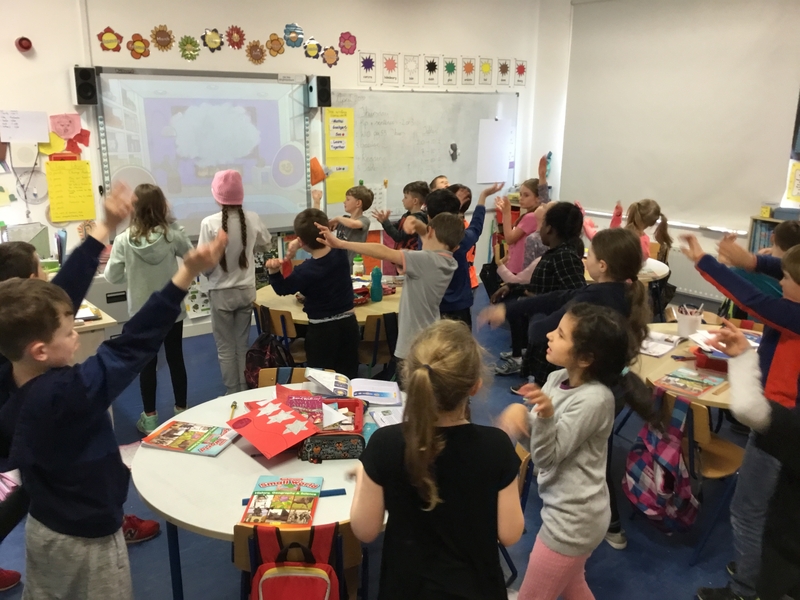 Since the beginning on the year, 5th Class have been doing a “K-A-Day” a few times a week. 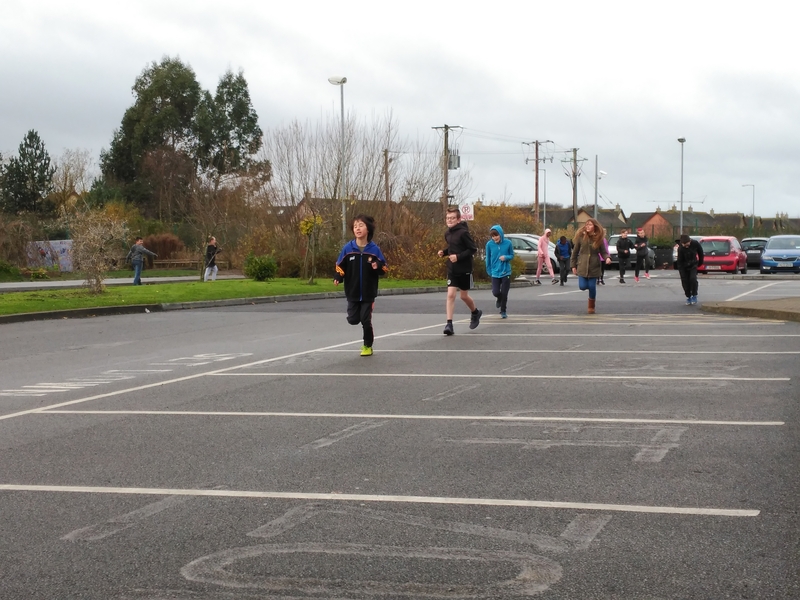 This is when the class goes for a jog, for about a kilometre, around the school playground. 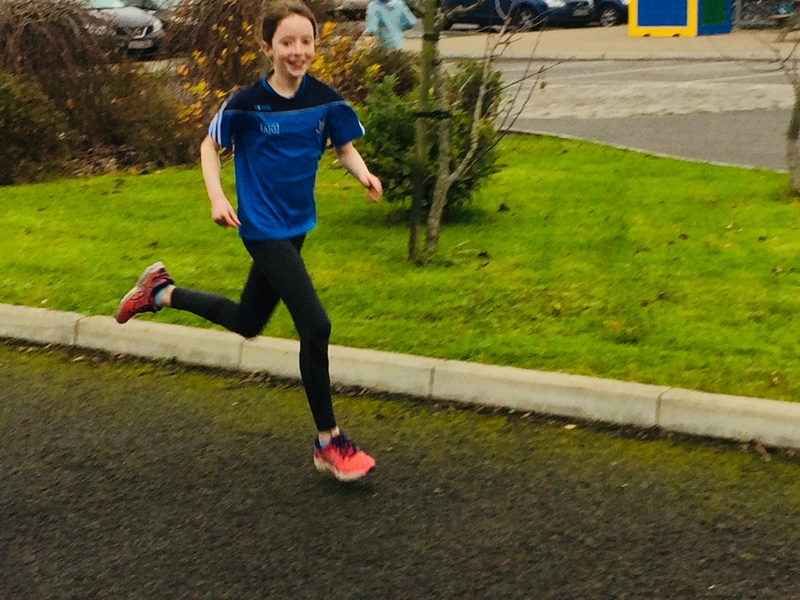 They’ve been really successful at improving their general fitness levels – and as you can see from these photos, they seem to really enjoy it. 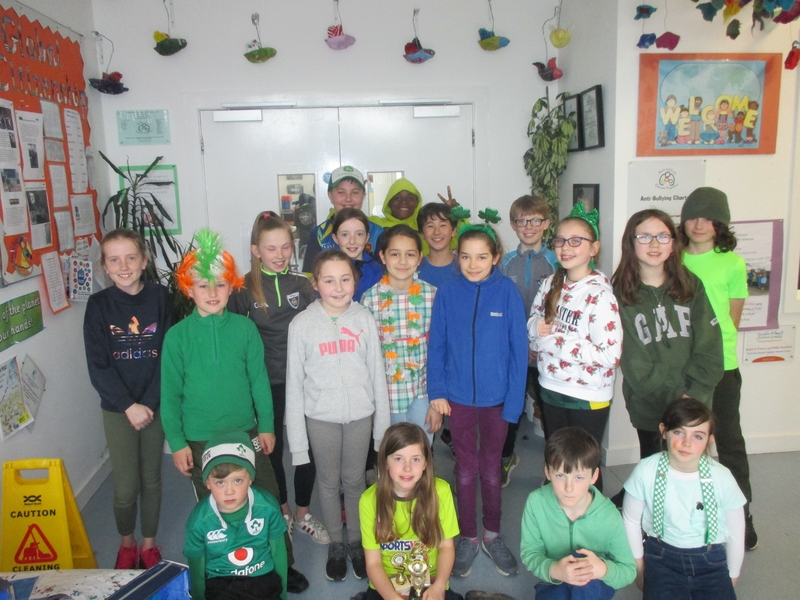 Keep up the good work 5th Class! Look! We’ve just added a dance area to our yard! 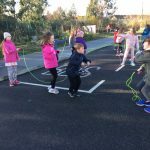 This week (November 19th), we started dancing during yard. 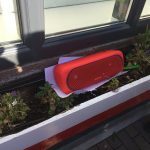 Every day, a set of bright red speakers are brought out onto the yard. Loads of cool tunes are played, and we dance away. 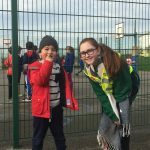 Check out these photos – clearly we love it! Our big, bright, red speakers! Who has the best moves? 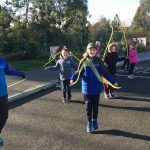 Although we’ve had skipping ropes on the yard for well over a year now, we have just moved them from the cobble lock area onto the road way. This is giving us loads of more space to skip up and down. 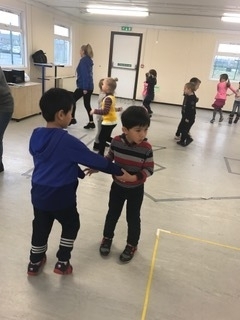 We’ve been practising all the skills we learned from the skipping workshops we did last year. 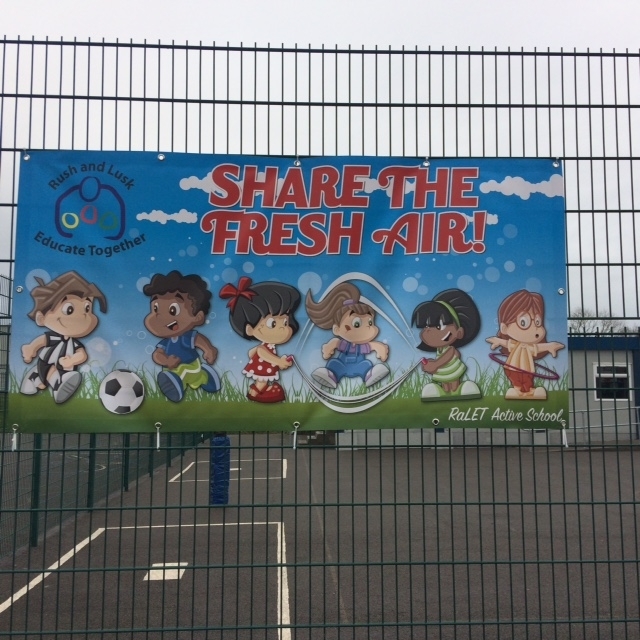 In October, we introduced something new into our school. 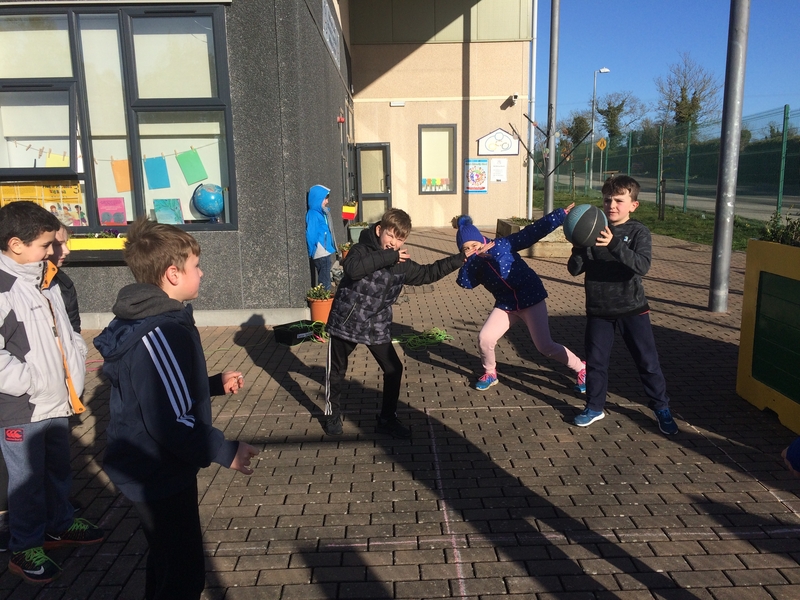 Every day, a few Sixth Class students go into the Junior Yard and play with the Junior and Senior Infants…the older students are teaching the younger ones games; there’s lots of running around and chasing, and they are spending time chatting and getting to know each other. 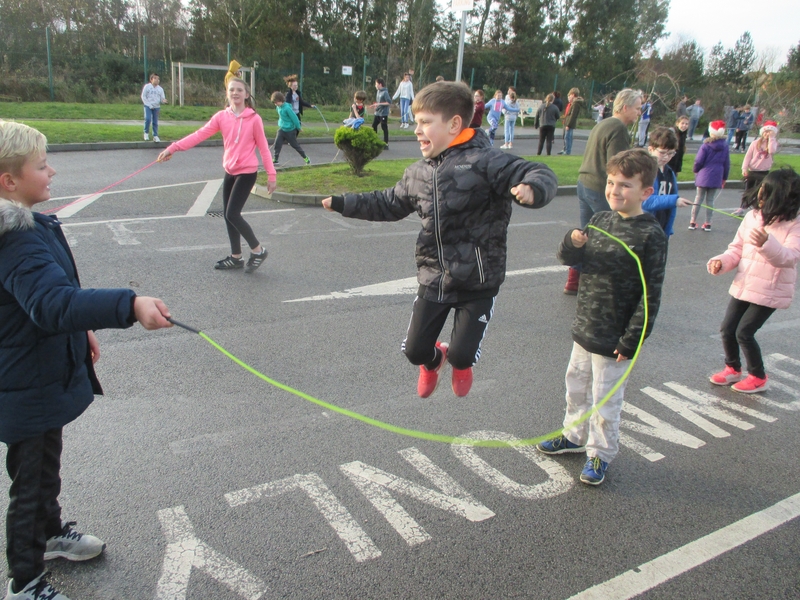 We are not sure who is enjoying it more – the Infants, or the Sixth Class!